"Teachers' Writing Groups: Collaborative Inquiry and Reflection for Pro" by Sarah Robbins Ed., Kathleen Yancey Ed. et al. How can teachers in whatever setting they work effectively facilitate their own professional development through collaborative writing and reflection? Teachers Writing Groups addresses this question by focusing on a community of educators that uses social writing as a vehicle for learning. This book delves into questions about writing, reflection, and professional development as an interactive social process. Robbins, Sarah Ed. ; Yancey, Kathleen Ed. ; Seaman, George Ed. ; and Yow, Dede Ed., "Teachers' Writing Groups: Collaborative Inquiry and Reflection for Professional Growth" (2006). 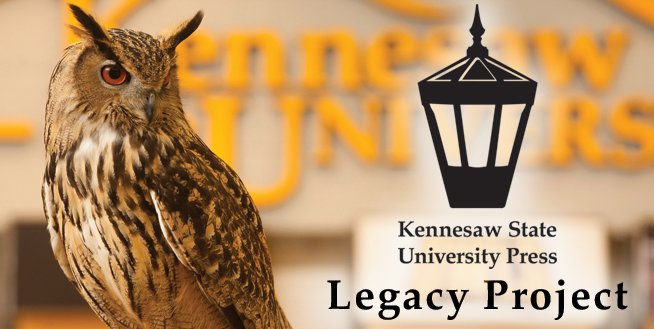 KSU Press Legacy Project. 4.